Medical marijuana has been a topic for discussion of treatment for Fibromyalgia for some time now. In this article we’re going to break down what this condition is and the benefits and negatives marijuana can have on it. Fibromyalgia literally means “muscle and fibrous tissue pain”, and it is characterized by widespread pain, fatigue, memory and concentration problems (the “fibro-fog”), and sleep problems. Irritable bowel syndrome (IBS), restless legs, tingling, numbness and sensitivity to external stimuli are also reported by some. Depression, anxiety and post-traumatic stress disorder (PTSD) is also associated with fibromyalgia. This debilitating disease can make simple everyday tasks like cooking or tying shoelaces exhausting and sometimes near impossible. Aside from the obvious downside that comes with constant pain, this can be hugely frustrating for sufferers who may otherwise look perfectly well. Nobody knows the precise cause of fibromyalgia. The pain appears to emanate from processes in the central nervous syndrome (CNS). The usual recommendations for fibromyalgia sufferers are sleep, exercise and a healthy diet, although weak-to-medium strength opioids are also prescribed in more extreme circumstances. This may be old-hat for anyone who reads our articles often, but many researchers posit that conditions like fibromyalgia are due to an endocannabinoid deficiency, e.g. Ethan Russo in this study here. In this study, Russo also contemplates the possibility that this endocannabinoid deficiency may also explain why cannabis provides relief for those suffering from IBS, migraine and other treatment-resistant conditions. This is not a surprising supposition – research suggests that fibromyalgia is associated with polymorphisms in the serotoninergic, dopaminergic and catecholaminergic systems. These polymorphisms may also be a major cause of other disorders like depression, IBS, chronic fatigue syndrome and migraine. Individuals with a 5-HT2A receptor 102T/C polymorphism have an increased chance of suffering from fibromyalgia. … To the recommendations that doctors give to patients to treat fibromyalgia (i.e. get more rest, exercise and eat healthily). As anyone who’s in significant amounts of pain knows, doing these things can prove to be difficult when you’re sick. A good indica ought to help most people get to sleep and relieve pain, as well as improving appetite. Some microdose edibles to provide long-lasting pain relief and prevent pain and discomfort from waking them up at night. A sativa might help keep one energised and pain-free enough for exercise. Using opioids for fibromyalgia is already controversial, and any responsible doctor ought to refrain from prescribing it for fibro other than in extenuating circumstances. Other prescription medications usually used for fibromyalgia are tricyclic antidepressants like amitriptyline and nortriptyline (Pamelor). Tricyclic antidepressants work by raising the number of neurotransmitters in the brain, specifically serotonin and norepinephrine. They relax the muscles and heighten the effects of endorphins. Side-effects include drowsiness, dizziness, dry mouth, dry eyes and constipation. Other antidepressants like duloxetine (Cymbalta), milnacipran (Savella), fluoxetine (Prozac), citalopram (Celexa), milnacipran and venlafaxine (Effexor) are also used to control the symptoms of fibromyalgia. However, antidepressants seem to have little positive effect for most fibro sufferers, and many report more adverse effects than benefits. Moreover, it usually takes about three months for antidepressants to actually start working – a long time to wait for something that might not actually work for most people! 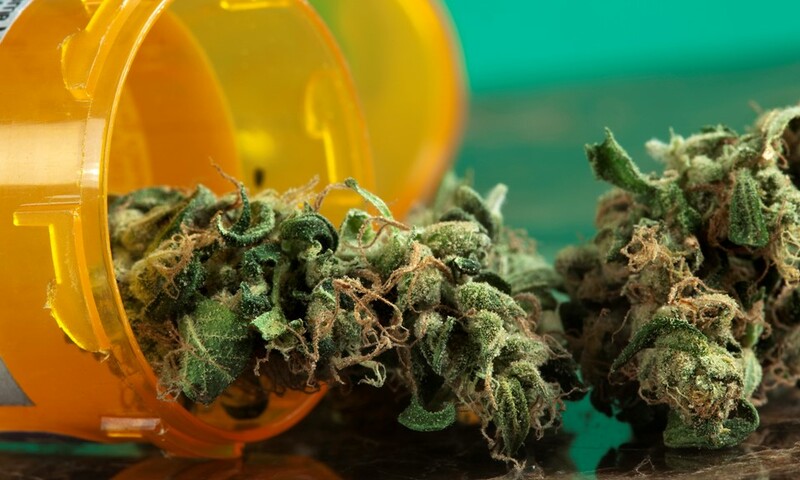 Medical marijuana, meanwhile, has the benefit of working almost immediately (depending upon method of ingestion), and may well work better than most prescribed fibromyalgia medications out there at the moment. Until we understand more about fibromyalgia and its causes, it’s unlikely that we’ll come up with any definitive solutions for it in the near future. However, for the moment, it seems cannabis could well be the best medication for it. Should you be unfortunate enough to suffer from fibromyalgia and finding that nothing works, why not get yourself a medical marijuana card and see if cannabis could help?